Tauranga have retained the Clive Herbert Challenge Cup after an entertaining match against Beachlands-Maraetai at Pemberton Park, Tauranga. Photo Gallery: Photographer Cynthia Qui caught the action at the Clive Herbert Challenge match between Beachlands-Maraetai and Tauranga. Watched by academy founder Ricki Herbert, Tauranga have retained the Clive Herbert Challenge Cup after holding off Bay of Plenty rivals Taupo in a nine-goal thriller. 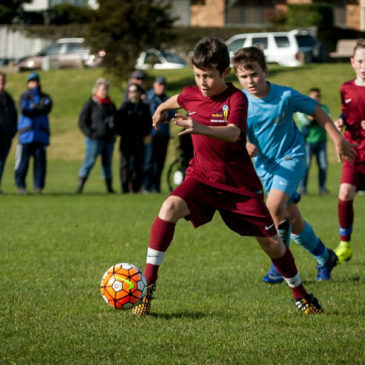 Photo gallery: players from the Tauranga Development Centre of the Ricki Herbert Football Academy enjoying a training session.